For the most part standard AR-15 triggers will work in the large frame .308 AR pattern rifles. There are however a few considerations to think about. SAFETY: The first and foremost consideration is safety. While you may be inclined to go for the light pull weight your accustomed to in your bolt rifles that type of trigger is not advisable with these heavy recoiling rifles. A pull that is to light can possibly cause the gun to fire in uncontrolled full auto which will be dangerous to you the shooter as well as those around you. Guns designed for full automatic fire have their fire control system timed to fire at a predetermined rate with the gun not firing until the bolt is locked in firing position. Uncontrolled automatic fire can result with the gun firing without the bolt locked in place essentially possibly causing the gun to blow up in the shooters hands. The most common recommendation I read is not to go lower than 4# and if possible use a two stage trigger. 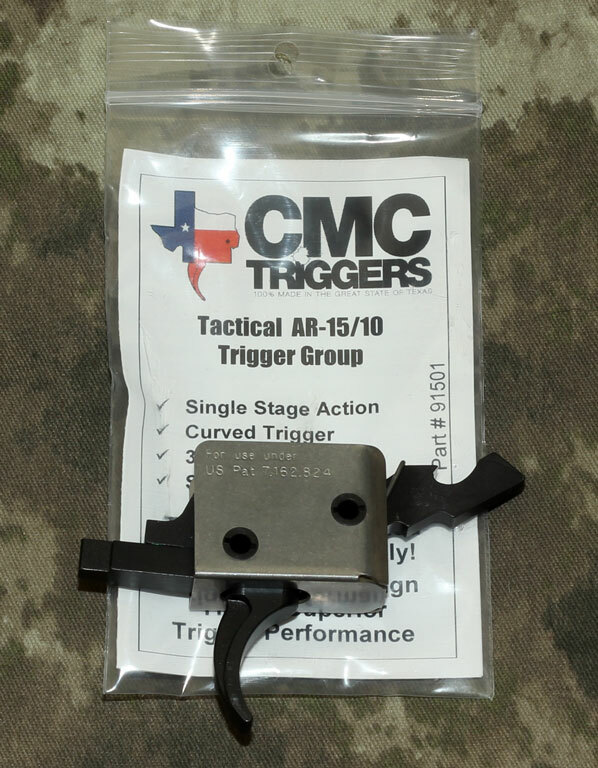 TRIGGER FIT – INSTALLATION: As I mentioned in the first sentence most aftermarket AR15 triggers will work in the .308. There is one caveat though. 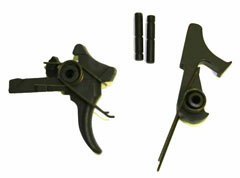 Some triggers will require modification or interference with the bolt carrier will result. So with that in mind I suggest sticking with triggers that are designed for the .308AR and designated to do so from the trigger manufacturer. If you are unsure call the trigger manufacturer or seek the help of a qualified gunsmith. Fully adjustable trigger gives a smooth, two-stage pull with a precise “icicle sharp” break and ultra-fast lock time to minimize accuracy loss caused by gun movement during trigger pull. Set first stage pull weight by bending the legs of the trigger spring; set second-stage weight within a pre-set range by turning its adjustment screw. Another screw on the trigger lets you adjust over travel for clean, crisp let off. Lightweight hammer provides a 50% reduction in lock time over factory hammer, yet uses standard weight hammer spring to ensure sufficient energy transfer for reliable primer ignition, even on AR-style .308 weapons. Trigger shoe is positioned 1/8″ farther forward than factory shoe for comfortable finger position during the squeeze. All contact surfaces are wire EDM cut to exact dimensions for full, precise engagement free of unwanted play. Available to fit both large (.169″) and small (.154″) pin receivers; small pin models include spare hammer pin to aid in proper fit on receivers with slightly oversized holes. Service model provides nominal 4½ lb. pull weight required for NRA High Power Service Rifle competition and is also approved for CMP-sanctioned competitions. Most of the pull weight is loaded on the first stage, followed by a quick, clean second-stage break. First stage, 3.2 to 5 lb. ; second stage, ½ to 1½ lb. Match model allows a very low combined pull weight for superb trigger control on highly modified raceguns used in unlimited NRA High Power Rifle competition. Helps you shave those extra hundredths of an inch from your groups for a competitive edge. First stage, 1.3 to 3 lbs. ; second stage, 4 oz. to 14 oz. Designated Marksman Rifle (DMR) model combines the light first stage of the Match trigger with the heavier Service second stage to reduce risk of premature release in high stress situations. 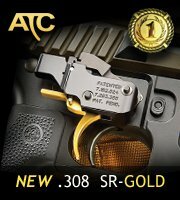 Perfect for precision tactical and competitive shooting where trigger pull is not regulated. Allows a high rate of semi-auto fire; an experienced shooter can fire 30 rounds in as little as 4½ seconds. First stage, 1.3 to 3 lbs. ; second stage, ½ to 1½ lbs. Easy-to-fit replacement for factory trigger is fully adjustable for engagement and over travel, and is available with pull weight as light as 3.5 lbs. Redesigned sear geometry and advanced metallurgy result in a precision-ground sear edge that delivers a precise, consistent let off. and prevents the kind of wear that causes doubling and other problems. Extremely short reset enables fast follow-up shots, a critical advantage on tactical and competition rifles. Machined to exceptionally tight tolerances from hardened steel, and installs in minutes with no permanent alterations to the rifle. Models to fit small (.154″) and large (.169″) pin receivers. Standard pull weight is between 3 and 3.5 lbs.—perfect for competition and recreational shooting. Tactical pull weight is between 3.5 and 4 lbs. 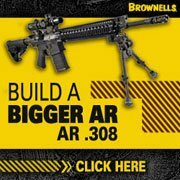 for applications demanding a high level of ignition reliability, including police/military use, mil-spec ammunition with hard primers, and in AR-style .308 rifles. Adjustable Trigger Kit lets you install J.P. trigger components while keeping your factory or aftermarket hammer and pins. Disconnector spring, engagement screw, and over travel screw are already installed; also includes disconnector, trigger return spring, hammer spring, and .050″ hex key. Use with J.P. Enterprises Speed Hammer for best performance. Fire Control Package contains contents of the Kit, plus low-mass J.P. Speed Hammer for faster lock time and two anti-walk pins with button head cap screws for easy removal and re-installation of trigger system when making adjustments. SPECS: Steel, parkerized finish. Models for rifles with either .154” (military and current aftermarket) or .169” (current Colt) diameter trigger pins. Measure your pins and select the correct kit. Includes complete instructions and a CD-ROM with 35-minute video showing step-by-step installation. This Timney 308 AR Trigger is a true self-contained, 100% drop-in ready upgrade that will change the way you think about AR triggers forever. Comes with a factory 4 pound pull, this trigger can be installed in minutes without any gunsmithing, fitting or adjustment required. The trigger makes use of your rifle’s original hammer/trigger pins, due to its proprietary design the trigger eliminates pin rotation and walkout. The solid, straight design of the trigger shoe is great for competitive events, helping the shooter pull the trigger straight back to the rear without influencing the rifle’s alignment with the target. The housing is machined from lightweight 6061 T6 alloy which is anodized for superior durability. The hammer is EDM machined from S7 tool steel and features a Nickel coating which helps deliver the exceptionally smooth, crisp single-stage pull. The other components of the trigger are EDM cut from A2 tool steel, then heat treated to Rc 56-60. SPECS: Steel, matte black finish. Fits AR-15 receivers with .154″ hammer/trigger pins only. Jewell Triggers has offered an AR15 trigger for some time. In all honesty I have never seen one and I have never known anyone who owns one. 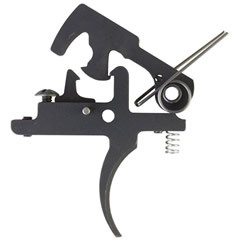 This quality two-stage trigger allows sear engagement and trigger pull weight adjustment from the top of the lower receiver without disassembly of the firearm. 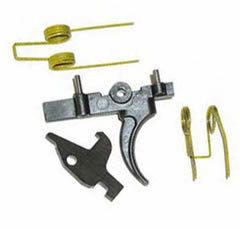 Includes trigger, trigger spring, disconnector, hammer and hammer spring. 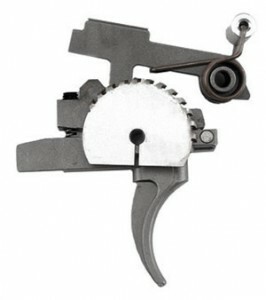 This trigger features a 1 to 7 lb range of pull. Not recommended for use with military ammunition. Careful adjustment required, tools and detailed instructions included. Gunsmith fitting recommended. Some Colt® AR type rifles have been manufactured with hammer and trigger pins and holes which are approximately .176″ in diameter. These are referred to as “large pin” Colts. This was done to eliminate the chances of someone putting M16 fire control parts into an AR receiver. This is not found in all Colt models, just some. All other AR type rifle manufacturers have stayed with the .156″ diameter hammer and trigger pins and holes, or “small pin” which is the same spec used in all military M16 rifles. This remains my favorite trigger for the 308 AR and AR-10 weapons platform. 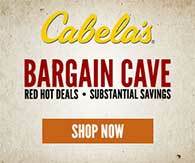 Visit American Trigger Corp or purchase at Brownells. I also have more information here. When the field of triggers was much smaller the Jards were my go to for both the AR15 and 308 AR. Priced at about $150 the Jard Triggers are in a crowded pack. Proven, single-stage design greatly improves trigger feel and function so you can concentrate on your shots instead of a stiff, factory trigger pull. Sear engagement point behind the hammer provides added leverage for a clean-breaking, 2, 3, or 4 lb. pull weight. Sear and disconnector engagement, overtravel and safety movement adjustments allow fine-tuning for ultimate crispness and less stress on parts. Engagement surfaces are precision-ground and honed to minimize drag, then heat-treated to prevent wear. Includes hard striking, low mass hammer to reduce locktime. I have no information or experience with these triggers. You can read more about the triggers at the Iron Ridge website. 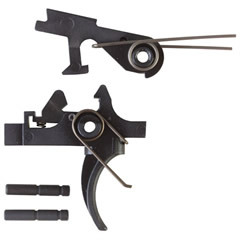 The Iron Ridge Arms Model II AR Trigger is manufactured as a heavy duty replacement for the ArmaLite AR-10, DPMS, LAR 308 and standard AR-15 designs. 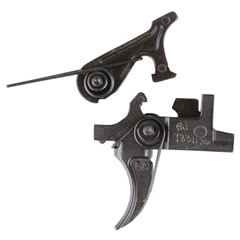 This trigger features a wide finger pad, dual springs and is manufactured from fully hardened A2 steel. It also features a 4-4.5 pound factory trigger pull. Chip McCormick Corp is pleased to announce the re-introduction for 2010 of our dual patented, true drop in Tactical Flat Trigger Group. Breaks at a crisp 3 1/2 to 4 1/2 lb. pull weight. 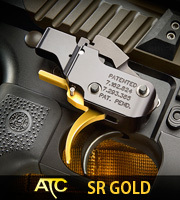 The CMC Tactical Trigger is my go to modular drop-in trigger when my budget does not permit a Pact American Trigger SR Gold.